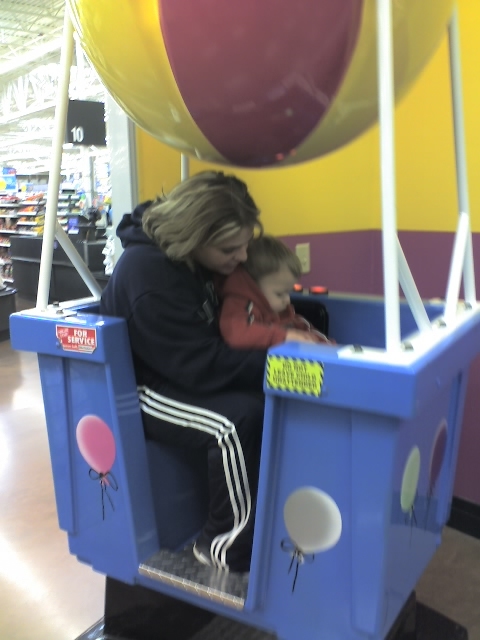 We went shopping and Trish took Ben to the quarter machines... First we were freaked b/c we knew we would never again be able to pass these things up with out a fight from Ben wanting to ride them.. Then we thought she was crazy b/c she actually rode them with him.. 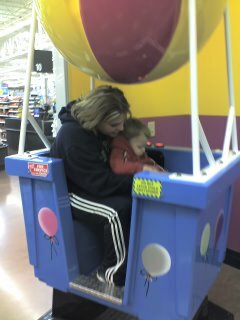 Guess this is one of the pros for being small in height..
Who is the Adult? They look the same size.